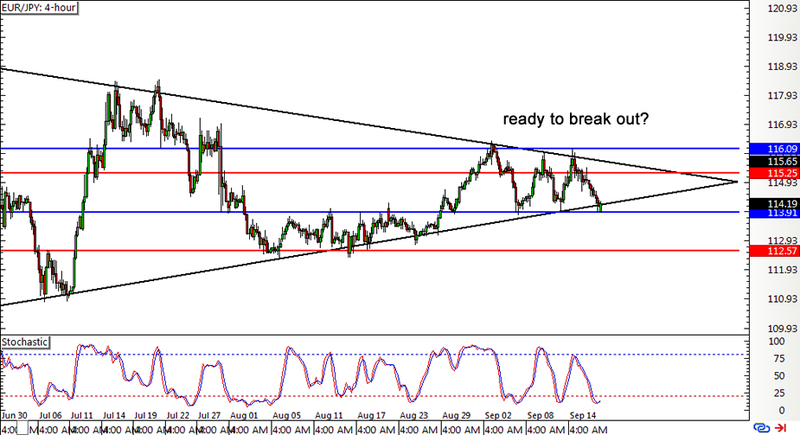 EUR/JPY is still stuck inside its symmetrical triangle consolidation pattern, as the resistance kept gains in check last week. 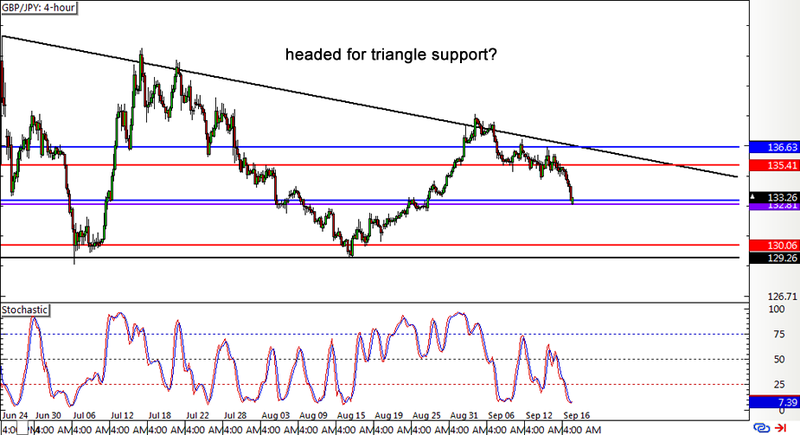 Price is now back to the triangle support near the previous week low but stochastic is suggesting that a bounce back to the top might take place. All this could hinge on the outcome of the BOJ interest rate statement so make sure you watch out for additional volatility during the announcement! Pound bears have been flexing their muscles these days, taking Guppy down from the descending triangle resistance and putting it back on track towards testing support around 129.00 and the bottom WATR. However, stochastic is already indicating oversold conditions so bulls might take the upper hand and push for another test of resistance near top WATR. Just be on the lookout for a potential break during the BOJ statement if you’re trading this one. 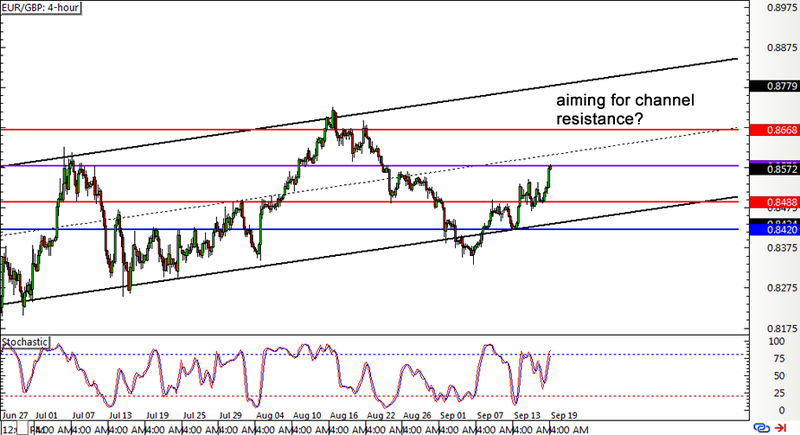 EUR/GBP is still treading higher, moving inside an ascending channel visible on its 4-hour chart. Price is already approaching the mid-channel area of interest while stochastic is nearing the overbought zone, suggesting that the pair could turn back down soon. If not, EUR/GBP could carry on with its climb all the way to top WATR and then to the channel resistance close to the .8800 major psychological mark.